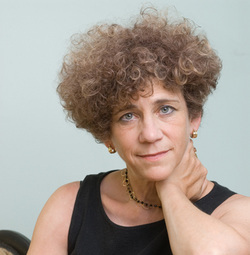 Johanna Drucker is the inaugural Martin and Bernard Breslauer Professor of Bibliographical Studies in UCLA's Department of Information Studies. She has written and lectured widely on topics related to the history of the book, with special emphasis on artists' books, typography, experimental poetry, and contemporary art. She is the author of eight published volumes of scholarly writing, including The Visible Word: Experimental Typography and Modern Art 1909-1923, which contains a section on Iliazd. Her most recent titles include Graphic Design History: A Critical Guide (with Emily McVarish), Sweet Dreams: Contemporary Art and Complicity, and SpecLab: Digital Aesthetics and Speculative Computing. In addition to her scholarly work, Drucker is known as a book artist and writer whose works often make use of experimental typography and her work is in museum and library collections worldwide. She has recently completed work on a manuscript titled, Diagramming Interpretation, and is working with research partners in London on design and creation of the online Museum of Writing. Presentation: "Humanistic Approaches to Digital Scholarship"